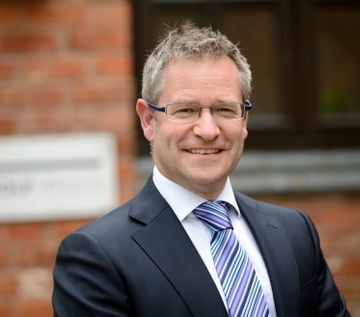 "Leicestershire has a history steeped in creativity and innovation making it such a vibrant city to live in and do business. 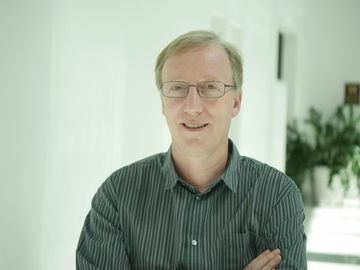 Tourism, textiles and fashion, DNA profiling, Adrian Mole and even pies have all contributed to helping recognise Leicester as a place at the top of its game for creative and entrepreneurial talent! This award recognises the enterprising spirit of businesswomen and their determination to finding new solutions that solve everyday problems that affect people's lives. Innovation is at the heart of everything we do as a business. We're always looking at ways to improve how we work, be more efficient and deliver a better service. Ultimately, by refining and improving our approach to accountancy and business, the knock on is this makes a very positive difference to our clients' companies. I don't think we would have had the growth and success we've had so far had we just entered the market as another accounting firm to choose from. Clients like the fact we're doing things differently and being innovative - so to sponsor this award is very fitting. We're delighted to be sponsoring the Business Innovation Award for the second year running. These awards are a great platform for local businesses to tell their stories and it helps put a spotlight on the leading business women who are helping to transform our county. We would like to congratulate all of the finalists at this year’s Women In Business Awards and wish you continued success". "Scoutess Recruitment Consultancy are delighted to be sponsoring the ‘Contribution to the Community’ category at the Leicester Women In Business Awards. Karen Orton, founding owner of Scoutess told us ‘I have always been passionate about the contribution that women make within business. As a recruitment agency that recognises the value of women in the workplace, we’ve been able to place women at all levels within the corporate world. This year we wanted to do more for flying the flag for women locally and this category was close to our heart. Scoutess Consultancy specialises in placing professional candidates within front line, senior and specialists roles across call and contact centres and the commercial sectors. 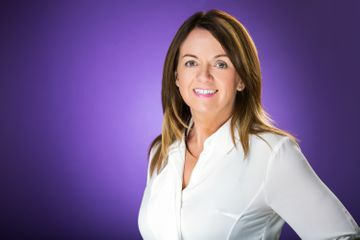 Having worked for global recruitment firms, Karen decided it was time to create a more bespoke and personal recruitment offering. 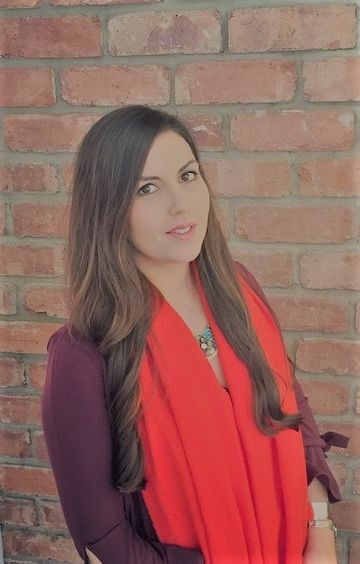 Karen set up Scoutess Consultancy only last year and has already made a difference to local women through organising and hosting charity fundraising events in support of the national charity SmartWorks. This year we launched our first mentoring connections programme as we wanted to help women advance in their careers locally. We know having a mentor is a career must-have and we’ve been delighted to be able to build a team of inspiring mentors who want to help us make that difference! Creating a business that not only recruits but makes a contribution to the community is what drives us. We’re excited to be part of the Leicester Mercury Women In Business Awards as this allows us to personally recognise female talent. We can’t wait to welcome our clients to an amazing evening". "Entrepreneur Moni Kotecha and her husband Dr Nik Kotecha OBE founded their successful pharmaceuticals business from the garage at their home. 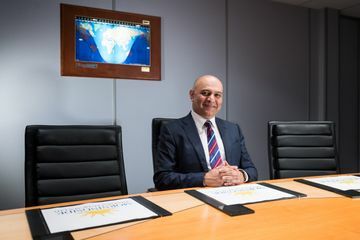 Over two decades later and Morningside Pharmaceuticals Ltd has grown into one of Leicestershire’s Top 100 companies, as well as being one of the fastest growing privately owned pharmaceutical businesses in the UK. 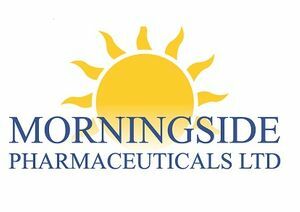 This year Morningside are sponsoring the Women In Business Awards’ Rising Star category, which is close to Moni’s heart as she wishes to encourage and support other business women in the county. Moni said: “There is an abundance of talent in Leicestershire and I regularly meet women in business, who are doing very innovative and progressive work which is creating jobs and growing their businesses here.“I’m delighted to support these awards as a good mix of genders in the board room, as well as throughout the organisation, brings great benefits. At Morningside our male to female employee ratio is almost 50/50, as is the ratio of men to women in senior positions, which is something I am extremely proud of. “I would like to wish all of the nominees the best of luck. It’s a great achievement to be nominated and it’s professionals like yourselves who are an inspiration to female business women of the future.” Loughborough based Morningside Pharmaceuticals specialises in manufacturing and supplying quality generic and branded medicines to UK hospitals and pharmacies, as well as essential supplies to aid agencies such as UNICEF, the World Health Organisation and the Red Cross. "Octopus Energy is a local employer based in the heart of Leicester city centre - and as one of the UK’s biggest generator of renewable energy, we’re over the moon to sponsor an award that recognises the business women who have had a sustainable impact in the local community. "Our own journey started two years ago in London, and as we began expanding we decided to grow in a city that we thought represented the future of Britain. "Leicester has a proud history of protecting the environment for future generations - It became the first UK city to receive green status in 1990, and continues to lead the way today with its pledge to cut 50% of emissions by 2025, and fully transition to clean energy 2050. 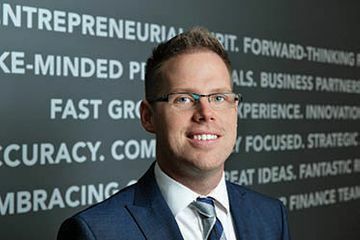 "As a company, we believe it’s imperative that local thinking plays a part in providing long-term solutions. This approach inspired the launch of our new Leicester Business Power tariff - which exclusively offers local businesses clean, renewable energy produced at our Solar Farm in Uppingham. “To support the tariff, we held a competition for students at Spinney Hill Primary School to design our new logo. We’ve also committed to donate £25 to our partners at Leicester-based Charity Link for every business who signs up and we will also plant 25 trees for every 25 businesses that go green on our Leicester Business Power Tariff. "As a local business we are passionate about turning Leicester green, and through our sponsorship of the Women in Business Sustainability Impact Award, we want to recognise and celebrate the leading women across Leicester who are helping make this a reality"
Financial Planning can appear complex and daunting, but we all need to take the time to plan today for our financial tomorrow. 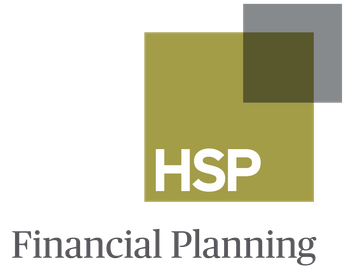 HSP Financial Planning Ltd. are Independent Financial Advisers who help clients understand their situation, make informed decisions on all aspects of their financial and life planning and, in the light of change and uncertainty, make plans to provide for their clients and their family’s future. 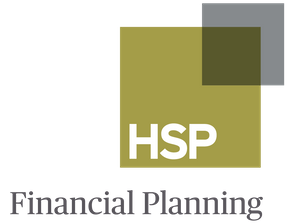 Established in 1977, and based in Leicestershire, HSP has for 40 years been providing trusted professional advice and reliable assistance to clients, making the financially complex understandable. Whether you are starting out in business, sole trader, partnership or Limited Company, coming to retirement, looking to pass down your wealth tax efficiently or just have a change of circumstance HSP Financial Planning are able to offer guidance across all areas. The HSP service is delivered by a team of 6 experienced advisers, with the combined benefit of some 120 years in financial services across many different specialities. The financial services profession is still very much a male profession, with men of a certain age wearing the stereotypical grey suit. More needs to be done in our profession to encourage more new blood into the profession as well as inspiring more women to embark on a career in Financial Planning. It is a real pleasure to be sponsoring the Lifetime Achievement Award at the Leicester Mercury Women in Business Awards and to be recognising and promoting women in business. At HSP we are very proud to have two experienced female advisers and we are expecting to take on a new apprentice in the coming months. We have a really healthy balance in the office with male and female advisers and administration staff, two of which are coming up to 30 years within the business. Importantly HSP are not linked to a bank, a financial group or any financial product provider and as such believe the financial advice delivered is truly objective, unrestricted from association and free from corporate bias. In today’s complex world the need for structural and professional advice has never been greater. Working in conjunction with other professional advisers HSP can also integrate tax affairs in an efficient manner. Through regular reviews and professional contact HSP strive to provide a lasting relationship with their clients. Your local friendly HSP Financial Planning Team is here to help you and look forward to an initial discussion and meeting without obligation, and entirely at HSP’s expense. “Female business leaders and entrepreneurs play a vital role in Leicestershire’s thriving economy yet we know, from our own client base of talented women in business, that they are often too modest to shout about their achievements. This is one of the reasons that Spearing Waite is delighted to lend its support to the Leicester Mercury Women in Business Awards. The Women in Business Awards have become a key fixture in the county’s business calendar and shine a spotlight on the outstanding female business leaders and senior executives across Leicestershire and Rutland. As Leicester’s largest single site law firm we are committed both to our fantastic and diverse county and to helping our talented female entrepreneurs and business owners to thrive and flourish. We are also proud of our own track record of attracting highly talented and ambitious female employees. Two of our most recent recruits include partner and head of property litigation Rachael McConaghie, and partner Caroline Smith, who has brought across her retail sector team from Shakespeare Martineau. Accurate, effective and friendly legal advice is a key element in successful business growth. 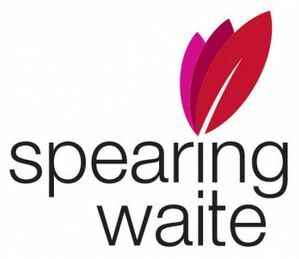 From helping establish the correct contractual footing, through to advice on employment, real estate and intellectual property matters, Spearing Waite’s legal team is firmly on the side of women in business. We are delighted to sponsor the Leicester Mercury Women in Business awards and wish all entrants the very best of luck, both with the Awards and in business”. "I am very proud to be part of my family business Smallman & Son Ltd and to work alongside my father, mother, brother and sister. At Smallman & Son, half of our employees are women; this makes our team strong, innovative and forward-thinking. It has been wonderful to see that so many women have joined the construction industry in recent years and we strive to support women who work in construction, as well as other sectors. This is our third year sponsoring the Leicester Mercury Women in Business Awards; a celebration of the most successful and inspirational businesswomen in Leicester, Leicestershire and Rutland. Helping young people at the start of their career is close to our heart. Therefore, we are particularly proud to sponsor the Female Apprentice of the Year Award; to celebrate the next generation of female business leaders and entrepreneurs. And with two daughters and one son working for the family business – we might have to one day change our name to Smallman & Son & Daughters!" "We are delighted to be involved in the Leicester Mercury Women in Business Awards 2018. Over half of our team are female, which include our three senior managers as well as a senior adviser, and we feel privileged to be sponsoring the Entrepreneur of the Year Award. We have first-hand experience of the women within our team’s entrepreneurial contribution to our own business. Team work is essential in our business and if asked I would like to think that all of the women working for us feel that they are encouraged to bring entrepreneurial skills to their work. There are plenty of female role models in the entrepreneur space although it appears we still seem to have some way to go before reaching equilibrium. Clearly there will be plenty of challenges for female entrepreneurs as our Brexit negotiations progress. It was clear from the high quality of entries last year that there are many entrepreneurial women in Leicestershire and we are looking forward to meeting this year’s Entrepreneur of the Year candidates. Good luck to all the nominees". 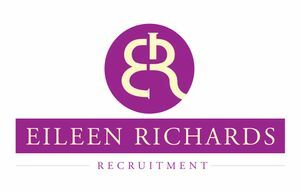 "Eileen Richards Recruitment is proud to sponsor the Leicester Mercury Women in Business Awards for the third year running. As avid supporters of Women in Business we are delighted to sponsor the ‘Inspirational Woman Award’ - an award that recognises women who inspire and motivate others, or those who have overcome exceptional circumstances. As local leaders in recruitment specialising within seven different sectors including Non-Exec level, we are satisfied to have placed many inspirational females into prestigious roles across multiple disciplines. Our ethos is to ‘connect people, business and opportunities’ and so we are delighted to be a part of these prominent Leicestershire awards that connect and reward women across the board who have made a positive impact to Leicester’s business community in some way. 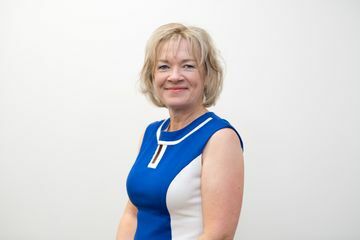 Outside of recruitment, Eileen is a Co-Chair of The East Midland’s Chamber Enterprising Women network, which aims to empower women across the Midlands whilst also supporting upcoming young business women through a reputable mentoring scheme. 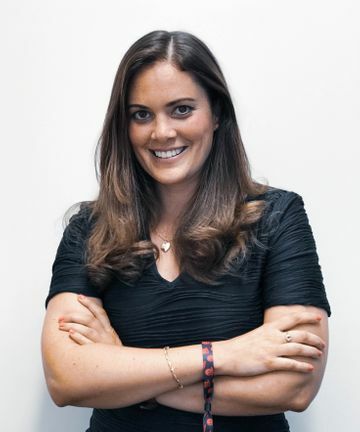 Due to the dedication toward promoting women in business Eileen has recently been listed to receive an MBE in the Queen’s Birthday Honours for promotion of Female Entrepreneurship. Congratulations and good luck to all of this year’s nominees, we look forward to meeting you all on the awards evening".